Insulating you home correctly can save 45% - 55%, on the energy needed to heat it. Liam Campion points out that "It is expensive enough to heat a house without the heat been lost through the walls. 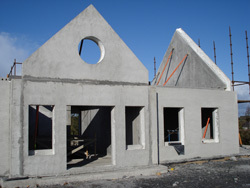 With the Campion homes system we can trap the heat that the home owner is paying for, which in turn leads to lower fuel bills, something which we all want to do in these times of high fuel costs "
We have spent the last 5 years developing a new and innovative highly insulated concrete wall panel specifically designed to cater to the Irish market. This product has huge advantages to the Irish home builder both in terms of cost savings (labour and running costs) and build time (we construct your new home "on site" in under one week). Is Campion Panels better than block ? 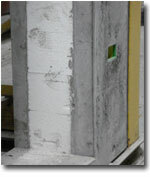 A. Precast wall panels are superior to block construction in a variety of aspects. Precast panels can be erected more quickly and is capable of handling greater structural loads , offers greater energy efficiency while reducing long term Maintence and energy costs. We guarantee our u-value of 0.25 and 0.18 as our insulation is placed pressure tight to inner leaf which can not be achieved by block work. all homes will be built like this.... "
You can contact us today on +353 (0) 57 8738579 for a free non-obligatory survey of your individual requirements. 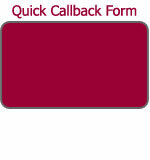 Let us show you the difference... alternatively, simply fill-out our "quick callback Form" and one of our experienced building consultants will return your call promptly.